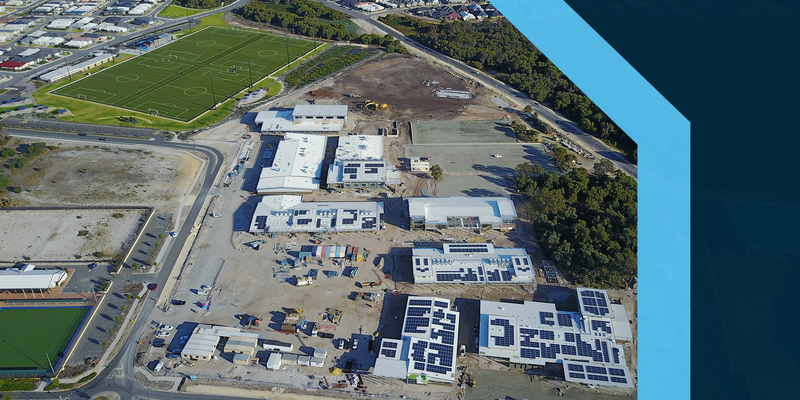 The Western Australian State Government partnered with the private sector to design, build, finance and maintain four new primary schools and four secondary schools to open progressively from 2017 to 2023. 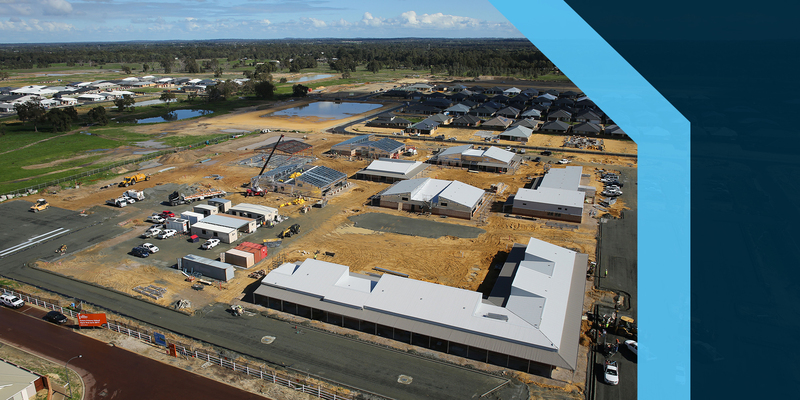 The construction of the school facilities was awarded to Badge Constructions (WA) Pty Ltd (Badge) and Perkins (WA) Pty Ltd (Perkins) under a joint venture arrangement (BPJV). 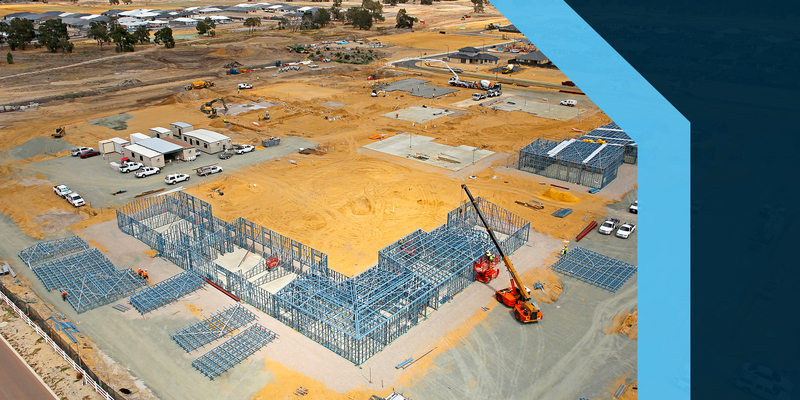 Following the successful application of lightweight steel framing on similar projects in other states, BPJV proposed this methodology for the WA Schools PPP project. Traditionally, a double brick hot-rolled steel support and steel or timber roof rafters/battens is a common framing structure in Western Australia. This solution was considered by BPJV, and was excluded by the consortium in favour of the efficiencies presented from the fully integrated lightweight steel option. 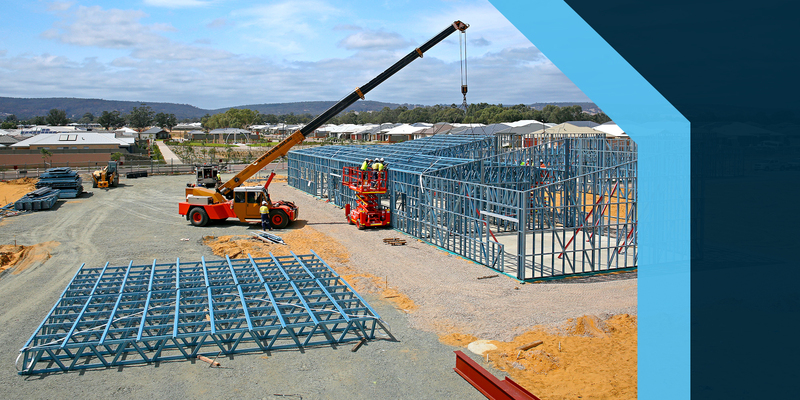 Hybrids of steel framing and other traditional method combinations were also considered and discounted following detailed assessment as well (RS). 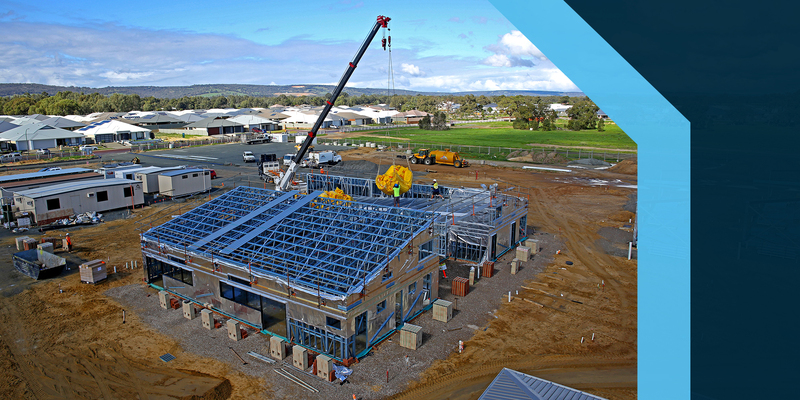 Steelscene was appointed the steel framing design and fabrication contract for Baldivis Gardens Primary School, Woodland Grove Primary School, Aveley Secondary College (Stage 1 and Stage 2), Coastal Lakes College (Stage 1 and Stage 2), Hammond Park Secondary School (Stage 1 and Stage 2), and Harrisdale Senior High School (Stage 2). Reduction in timeline allocated for wall noggins for inbuilt joinery (since already incorporated into framing). Tolerances enabled utilisation of split frame internal door frames leading to a quicker internal fit out cycle. Reduction in secondary trades framing out penetrations for tubular skylights or large roof mounted kit (already accounted for in light-gauge framing). Increased spacing of supports for soffits reduced the need for secondary battens to carry external cladding in numerous locations. Fully integrated with our alternate fire engineering solution (in double storey buildings) with application of intumescent paint to adjacent hot rolled steel support members. Fully integrated with our design consultancy team in steel coordination BIM modelling – with the buildings shared and reviewed in Navisworks environment by all parties. Ability to accommodate future flexibility of the building layouts to the Department of Education’s pedagogy future demands. In summing up the success achieved so far on such a large scale, and high-profile project, Steelscene owner Gary James says, “By incorporating innovative engineering techniques and methodologies, we were able to increase the consistency of light gauge steel frame production due to high-rate, cold form cnc automation. This allowed for long spanning sections to be customized for fit to purpose application throughout the corresponding projects.” He continues, “The flow on effect of this reduced the fabrication-to-site-to-erection scheduling timeline and kept work sites at a higher level of efficiency”. Developer: The EduWest consortium which is headed by Project Co (Macquarie Capital) who are sole sponsor, equity investor, debt underwriter, financial advisor and SPV Manager. Builder: Badge Perkins Joint Venture (BPJV) is the D&C Subcontractor. Disclaimer -The content of this case study is based on statements made by the sources listed above and is a reflection of their views and experience on the above Project. TRUECORE®, BlueScope and the BlueScope brand mark are trademarks of BlueScope Steel Limited. © 2018 BlueScope Steel Limited ABN 16 000 011 058. All rights reserved.